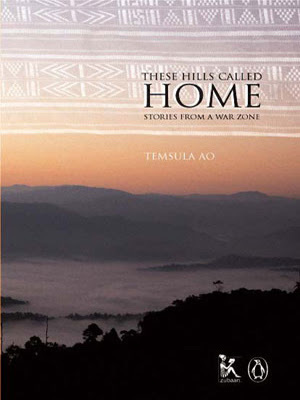 Yet another beautiful collection of stories from Temsula Ao. Mind-opening too. We see what we choose to see. How much more effective these stories are in sensitizing us to what is going on in Nagaland, than newspaper/TV reports full of statistics. Available on http://www.flipkart.com/, for delivery within India. I had written about her earlier, here. "More than half a century of bloodshed has marked the history of the Naga people who live in the troubled northeastern region of India. Their struggle for an independent Nagaland and their continuing search for identity provides the backdrop for the stories that make up this unusual collection. Describing how ordinary people cope with violence, how they negotiate power and force, how they seek and find safe spaces and enjoyment in the midst of terror, the author details a way of life under threat from the forces of modernization and war. No one—the young, the old, the ordinary housewife, the willing partner, the militant who takes to the gun, and the young woman who sings even as she is being raped—is untouched by the violence. Theirs are the stories that form the subtext of the struggles that lie at the internal faultlines of the Indian nation-state. These are stories that speak movingly of home, country, nation, nationality, identity, and direct the reader to the urgency of the issues that lie at their heart."